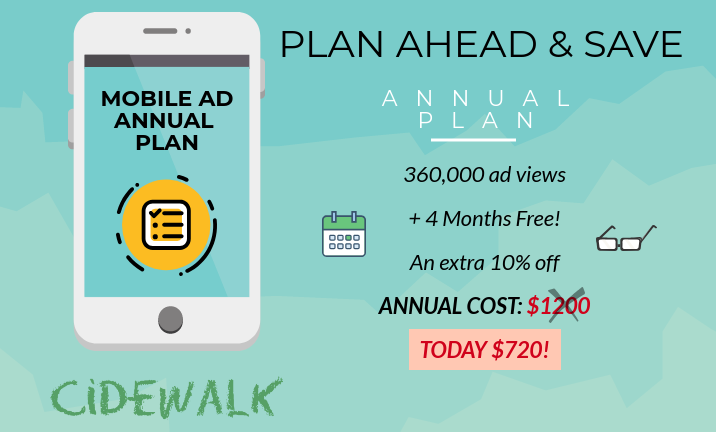 For a limited time only we are offering 12 months of mobile ads, worth $1200, for just $720! How did we do it? On top of our 1-2-FREE offer, you can enjoy 4/12 months free (that's 120,000 ad views on us) and an extra 10% off if you sign up today!